Since the Google Innovator Academy ended last Friday, I thought that things might slow down a little bit - ha! My mom & I have continued to be on the go with touring around Copenhagen, viewing the Aurora Borealis up north, and sightseeing in Stockholm today! There is a lot to share about our adventures, as well as a lot to share about the academy, but I haven't quite had the time to compose my thoughts yet. Instead, I want to share a real-life moment of design thinking that we heard about today. We were at the City Hall in Stockholm, where they host several events, including the Nobel Banquet. 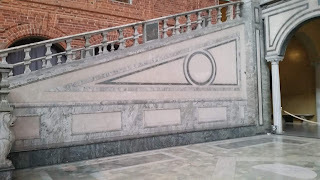 As our tour guide explained to us, Ragnar Östberg, the architect, knew that ladies in high heels and fancy gowns would likely be entering the hall by going down that staircase, and he didn't want them to trip and fall and make a spectacle of themselves! 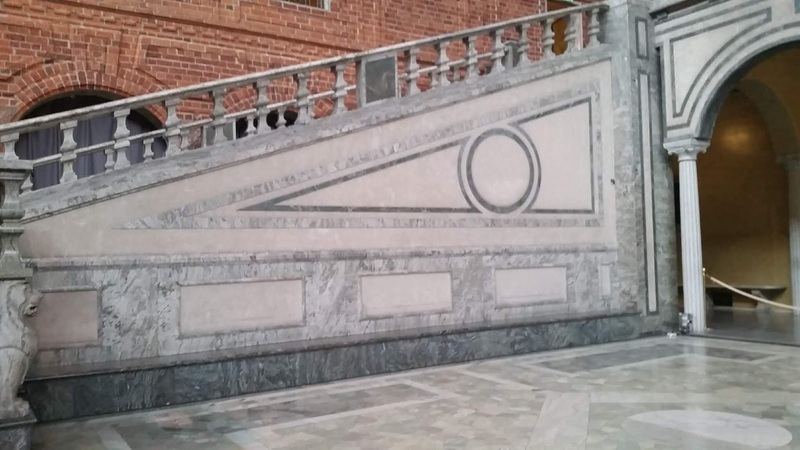 He was determined to create the world's most perfect staircase, and created a shorter model to test. His wife was the lucky guinea pig, and she gave him feedback several times until he settled on a final design. 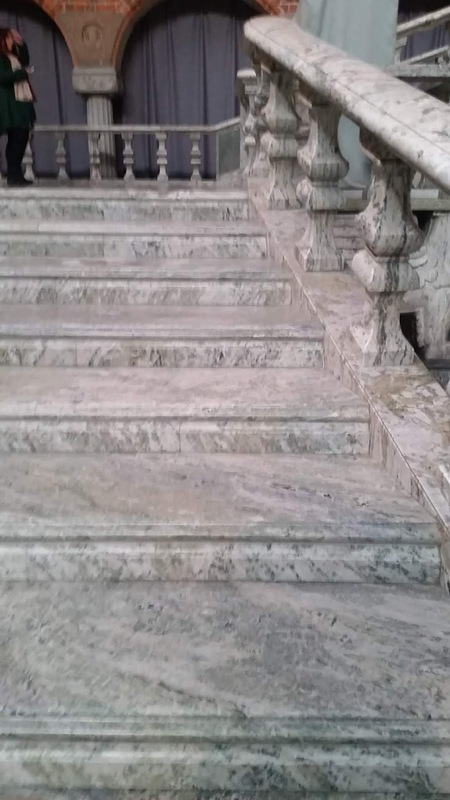 This staircase includes shallow, wide steps that are (very) slightly tilted back so you don't feel like you are falling forward when walking down them. Now, let's take a step back. Whether it's because I just finished the Innovator Academy or my training over the past few years, all I could hear when she was talking was DESIGN THINKING! He tested his prototype by having his wife give him feedback and went through several cycles of adjustments until he settled on a final design! 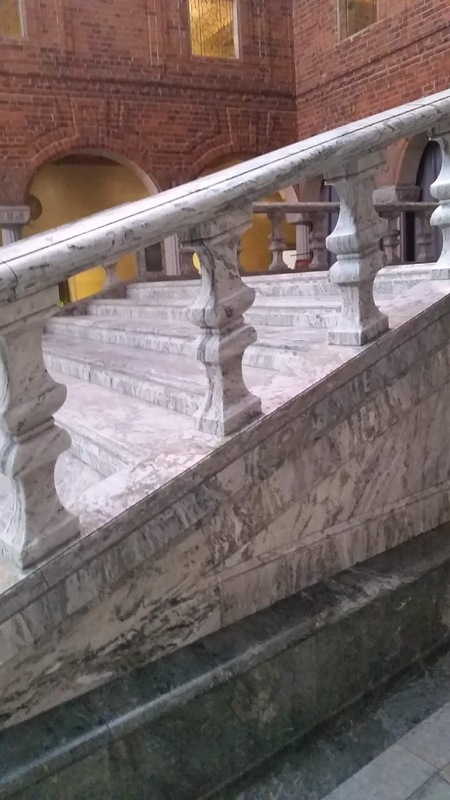 As a result, there is a beautiful stairway there that is very easy to travel up and down - and many people have kept their pride intact without even realizing how much thought the architect put into it! How do you see design thinking in real life? How do you encourage your kids to see design thinking in real life?